The deadlift is one of the most common exercises you can find in the gym. However, as easy and straightforward as this exercise might sound, it is effortless to go about it all wrong. Having a bad form when doing a deadlift will cause more harm than good. The deadlift can offer amazing benefits to your body, but a deadlift with bad form will be the exact opposite. 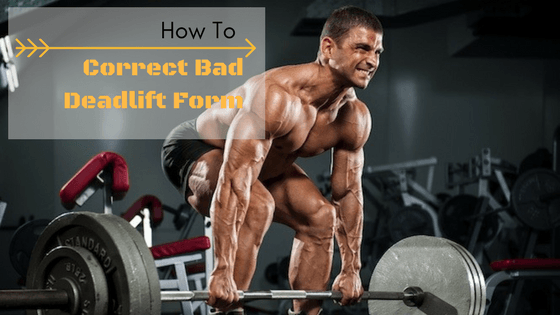 In this article, we will discuss how you can prevent bad deadlift form and learn how to perform this exercise the right way. The most common mistake is rooted in the idea that since deadlift is a back exercise you should primarily use your back to deadlift. That is as wrong as you can be when it comes to deadlifts. In fact, going that route will increase back injury among other risks. An essential aspect of lifting anything with considerable weight from the floor is to use your legs and hips. 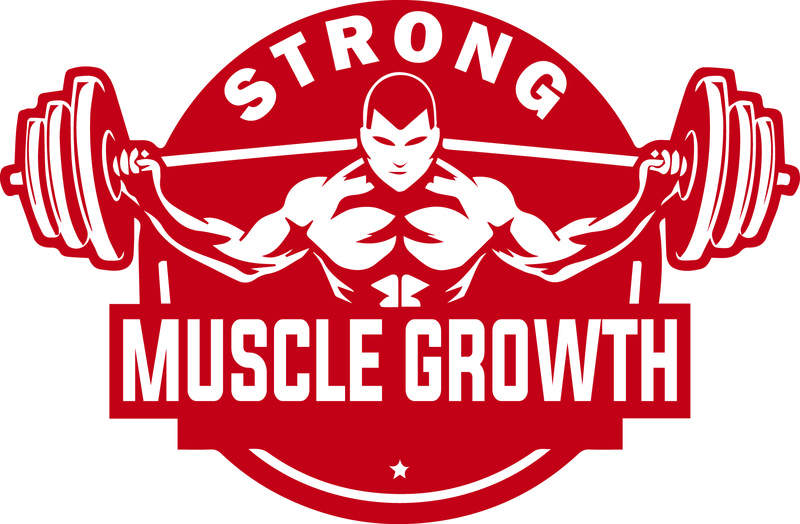 Do not use your back when lifting anything heavy that is a good way to pull a muscle that is not made to be pulled. Chances are you have heard the instruction always to lift using your legs. Take that to heart. Now that you know the root of bad deadlift form, it is also crucial for you to understand that it is only the tip of the iceberg. There are several pointers you need to learn about proper deadlift form to maximize the benefits it can deliver. The proper pickup and raise motion when deadlifting is called a hip hinge. This means you produce maximum hip motion with minimum knee movement. Keep in mind that deadlift motion should be back and forth. Keeping your back aligned is the way to do it. Forgetting this essential deadlift form is quite common for beginners as we usually fall back to the natural squatting position when picking anything up. Doing a proper deadlift begins at the starting position. You need to conduct an appropriate setup and stance. It is easy to pick out deadlift beginners as they tend to lean forward too much when going into the starting position. Of course, there is no definitive measurement when it comes to the stance as we all have different body structures and preferences. However, there is a guideline for conducting proper form. Some critical pointers for deadlift start-up position include taking a deep breath, hold it, and containing it within your abdomen. Utilizing your lats or latissimus dorsi, which is a major muscle located on your back. The lats will be the muscle making sure your back remains straight. Pulling the weight upwards will require fluid movement using your legs. There are several reasons why this mistake happens. Maybe the weight is too much for you, maybe your muscles are not strong enough yet, or perhaps you lack preparation. No matter the reason, this is one mistake that you can’t afford when doing deadlifts. This is an easy mistake to make, especially for beginners. Fortunately, this is also a mistake that is easily rectified through practice. As your body becomes stronger, you will find it easier to maintain a straight back when doing deadlifts. Next thing you know, it will become as natural as breathing. Another common mistake when it comes deadlifts is that your arms will handle the bulk of the weight. This is wrong as your arms should only keep the bar stable and close to your body. It should not be used to do any actual lifting. Lifting the bar falls on your legs and hips. Your arms and back are there for support. Keep your arms straight throughout the deadlift exercise. Reaching the top of the deadlift or lockout is also a common position that most will make a crucial mistake. Too often will you see people overarching or hyperextending their back once they reach this position. This pushes their pelvis forward which means they are using their back to lift rather than their hips, legs, and glutes. Your body should be aligned from neck to the hips once you reach lockout. Again, take some time to practice with manageable weight if you are having trouble. Work your way up, and you will be able to do proper deadlifts like its second nature. Remember to keep your head in a neutral position when doing deadlifts. Maintain a straight line starting from your head down all the way to your glutes. Your shoulder and hips should lift at the same time. If either your hips or shoulders lift up after the other, you risk having the part left behind strain a bit more. Remember: hips and shoulders should rise at the same time. Your shoulders should be aligned slightly behind the bar from the bottom. If your hips are too low, your shoulders will be directly aligned to the bar at the bottom which causes the bar to swing around somewhat during the lift. That is something you need to avoid. Do not deadlift while rounding your back. Your back should be straight when doing deadlifts. Rounding out your back will increase the risk of back injuries. Try practicing deadlift with hands out (using dumbbells). Be conscious of your back posture at all times. Once you have a hang of it, you can switch back to deadlifting bars. In the starting position, be aware of where your shins are positioned. It is essential to make sure that your shins are touching the bar during the start position. This will make the next couple of postures easier to manage. When it comes to the positioning of the hips, you have to avoid it from dipping too low both at the start and end position. Compare deadlifts to squats, keep in mind that hips should be at a higher position when compared to doing standard squats. Refrain from hyperextending your back. Not only does it look awkward and silly it is also a great way to injure yourself during deadlifts. Maintain a steady flow throughout your deadlift routine. When lifting the bar, try to avoid suddenly jerking it during starting position. Jerking the bar during lift can cause you to tear your bicep. Make sure that your hip drops low enough to prevent your back to round. Not dipping your hips low enough is a huge no-no when it comes to deadlifting. Your legs will do most of the work during deadlifts. Individually, your posterior chain and hamstring will do all the legwork, pun intended. Do not spread your arms too wide when grabbing the bar. Deadlift is all about maintaining a steady pace and a straight line. The overhand grip should be the default position. The only exception here will be if you are trying to lift a considerable amount of weight or if you are having trouble getting a good grip on the bar. In those instances, I recommend you with the over and under the grip. When lifting the bar, make sure it is always laying flat on the ground. That should always be the bar’s starting position. When lifting the bar up, remember to open your chest once you get to the upright position. This way, you can further prevent your back from accidentally rounding itself during the exercise. When it comes to footwear and deadlifts, always wear shoes that are flat and stand on a flat surface. If you wish, you can also deadlift barefooted. Never put all the weight on your heels. Spread the pressure on the middle part of your feet. That is where the perfect balance point is. Utilize your glutes during deadlifts. Squeeze when lifting and once you reach the upright position. Always look forward when doing deadlifts. Looking down will put pressure and strain your neck which might lead to injuries down the road. To help you better understand proper deadlift form, I’ve included a video below that shows you the appropriate way to conduct this exercise. Deadlifts may look easy but as you can see from the list of guidelines I listed above there is a little more to it than simply lifting a weighted bar. As with all exercises, proper form is key to making the most out of your training. Ignoring the basics in posture will not only cause you to waste time and energy, but it can also lead to injuries. By remembering these key pointers in regards to deadlifts, you will be able to achieve optimum results while reducing the risk of injury down to zero. Hopefully, this guide should be enough to help you avoid bad deadlift form.